Winter apparel is headed for storage – get yours now! Spring is right around the corner and that means those warm (ugly) sweaters, party pants and snowman heads on WGT Golf Mobile are heading back to the closet. Go to the WGT Pro Shop in the mobile app now and get your winter apparel items (and game benefits) by Tues, 1/30 when we're clearing them out. Because you know, those snowman heads will melt come spring, and we have to make room for a new spring wardrobe. Save the snowmen! 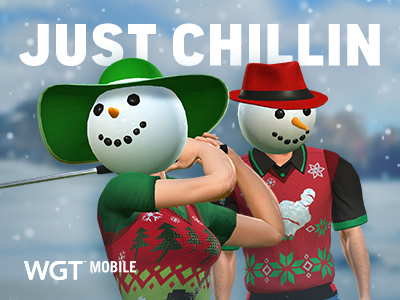 *Special winter apparel items available on WGT Golf Mobile. Here's one for your playbook! Get your hands on these Football tees/flags in CC Event #65, they're yours for the winning. Compete now through Fri, 1/26 for your chance to win in-game rewards, including these virtual tee markers and flags. CC Event #65 runs 1/25-1/26 with multiple 4-hour Clashes, so be sure to play as many games as you can for your club and keep your eyes on the leaderboard. We know you're a cool kid because you play WGT. So what virtual equipment did the cool kids use most last year? We did a little research and found the following was among the most popular in your games in 2017. We can't wait to see what you're using in 2018! You get a Nike ball (or 3)! 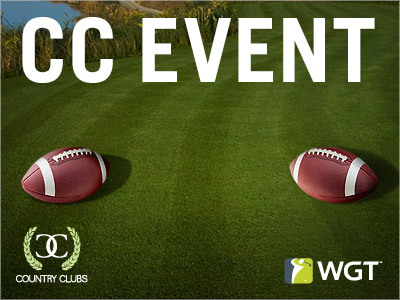 Through Sat, 1/20, get 3 of our most popular, top-performing virtual golf balls when you buy 2,000 or more WGT Credits. 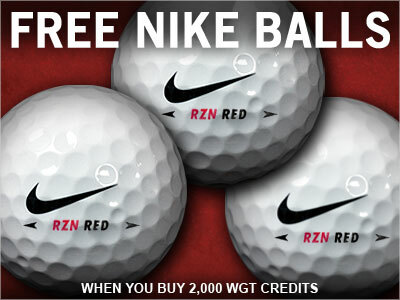 *Special offer for players who buy 2,000 or more WGT Credits today through tomorrow (1/19/18-1/20/18), receive 3 free Nike RZN Red virtual golf balls (L40+). Win this Wednesday with 50% more XP! Oh hey there, hump day! Time to celebrate making it halfway through the week with 50% more XP on WGT. Take advantage and level up faster with this midweek bonus, just for you. Don't miss out, this promo is available 1/17/18 only. Zong, a mobile payment company, has announced they have shut down their service and is no longer available on WGT. Though it's no longer available, there are still many ways to purchase WGT Credits including credit card, PayPal, gift cards and more. Note: Game credits cannot be withdrawn or refunded, please read our FAQ for more information. 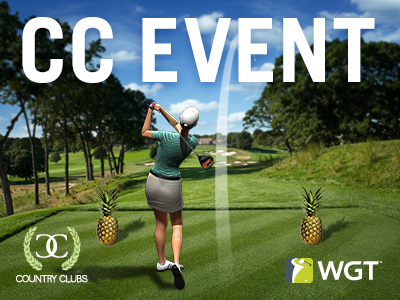 Get a taste of the tropics in CC Event #64 as the Sony Open in Hawaii kicks off the 2018 PGA Tour season. Compete now through Fri, 1/12 for your chance to win in-game rewards, including these virtual tee markers and flags. CC Event #64 runs 1/11-1/12 with multiple 4-hour Clashes, so be sure to play as many games as you can for your club and keep your eyes on the leaderboard. Goals, Goals, Goals... These Are Ours! The beginning of a new year means new goals. As we embark on 2108, we put our staff to the test and asked them what their in-game goals are. Because as you can imagine, we play WGT too. Here's what a few of us are resolving to do in 2018. WGT Resolution: This year, I'd like to place in the top 10 of an internal WGT Virtual Tour tournament. WGT Resolution: For 2018, I'd like to take a few strokes off my score by upping my putting game. I want to sink some putts this year. WGT Resolution: With all the new apparel that's out, I'd like to try them all in 2018 and find the best combination for my game. 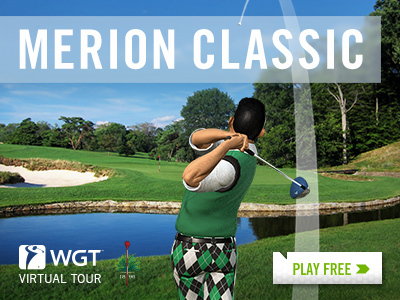 Get this year started on the right foot by playing in the first stop of the 2018 WGT Virtual Tour, the Merion Classic. This is the first tournament in the Jan-Mar Quarterly Season, with a total purse of 100,000 WGT Credits. Play the unlimited play first round (1/1-1/26) followed by a single-play second round (1/27-1/31), with the top 70 combined scores in each Pro-Champion tier splitting the total purse prize. The winning players in each Pro-Champion tier of each monthly tournament will display a "reigning champion" icon next to their player name through the following month.